The perfect mix of cherry and apple, this flavour is sure to satiate the most exceptional palate. The extra-sweet cherry blends with the sweet and tart of the apple to create a unique experience previously only enjoyed by the culinary daredevil. Cherry Apple is warming and comforting like mom’s cooking and stealing fruit from the neighbour’s tree. If you are new to e-cigs or are you thinking of switching, you may have noticed the different variables like types of vapourizers, batteries and cartridges. E-liquids are one of the major components to consider when choosing electronic cigarettes. In learning about e-liquids, users have to differentiate between the liquid bases. They are usually made of vegetable glycerin and propylene glycol. Both are considered safe to ingest by authorities. Here are some of the differences. Being more common of the two e-liquids bases, propylene glycol is a flavourless and odourless liquid that mixes well with flavours. It is thinner than vegetable glycerin, making it easier to administer on atomizers. 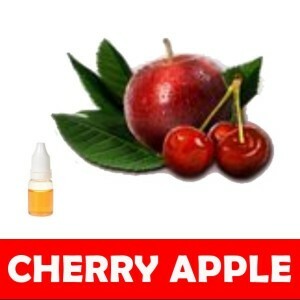 It offers a better throat hit and mouth feel compared to e-liquids made of vegetable glycerin. The smoking resembles the feel of a traditional tobacco cigarette. However, some smokers can be allergic to propylene glycol and have symptoms like stomach pains, hives or nausea. Another common side effect when using propylene glycol is dry throat and mouth. This usually occurs when the smoker uses it heavily and does not drink enough water. E-liquids for electronic cigarettes that are vegetable glycerin based are a good alternative to cigarettes made with propylene glycol. Though it is also colourless, it has a sweet flavour that may overpower other flavours at times. It is thicker than propylene glycol and may clog up in your atomizer. Make sure that you have the right type of atomizer if you are intending to use e-liquids that are vegetable glycerin based. Replacement and maintenance may be required sometimes. Another difference is that vegetable glycerin is made of plant oils and natural ingredients while propylene glycol is a chemical compound. One will also not achieve the throat hit that propylene glycol offers. As vegetable glycerin contains oil, there is a slight risk of lipoid pneumonia with maximum consumption. However, this is a very rare occurrence. To get the best of both worlds, users of electronic cigarettes tend to mix the two compounds together. Combining both advantages, it allows for a cleaner and thinner liquid as well as a better mouth feel. It gives the users a satisfying hit sensation, while at the same time achieving the thick white vapour and sweet taste. The popular ratios of propylene glycol and vegetable glycerin are 50/50 and 80/20. Try them out to see which one suits your taste and preferences. The ratio can be altered for maximum smoking enjoyment and experience.